Boscotek high density cupboards are the ideal complement to Boscotek high density cabinets because of their modular design. With a full range of corresponding sizes, these cupboards can easily be integrated into your workshop environment for storage of larger items whilst maintaining a constant height and depth with your existing Boscotek high density cabinets. Each centre closing multi-point locking door is reinforced for additional strength and comes with several adjustable shelves (depending on the size) and is load rated to 75kg per shelf giving you the confidence to store heavier items in your workplace. 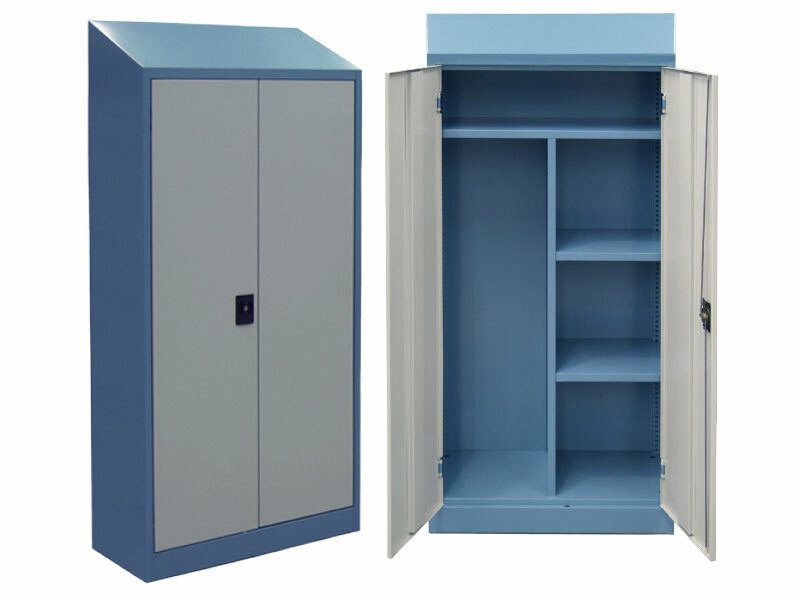 Further, each cupboard can be retrofitted at a later date to include our drawer system if your needs change, protecting your initial storage investment. Full welded heavy duty hinges are used in 2 or 3 places ( depending on door size) along the door frame to allow durable long term operation. Each door is also designed to ‘lift off’ if necessary by removing the pin within the hinge and can open 110°. Each door is reinforced with additional steel bracing to eliminate twisting and improve rigidity and operation. Doors are fitted with a secure triple action locking mechanism with key lockable flush mounted handle. To avoid noisy slamming, doors incorporate top and bottom buffers, which absorb resistance and offer secure and quiet closing. 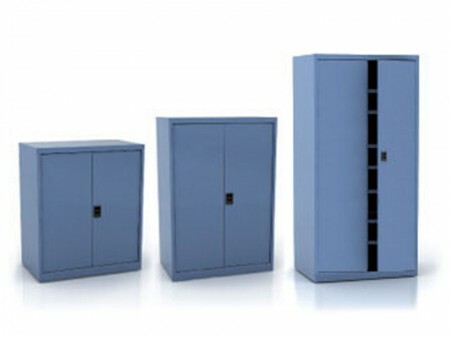 Ajustable shelving allows large item to be stored. Flexible 1.2mm zinc seal shelving with a distributed load capacity of 120kg. Cupboards shelves can be adjusted at 25mm increments enabling users to position shelves to suit their specific storage requirements. 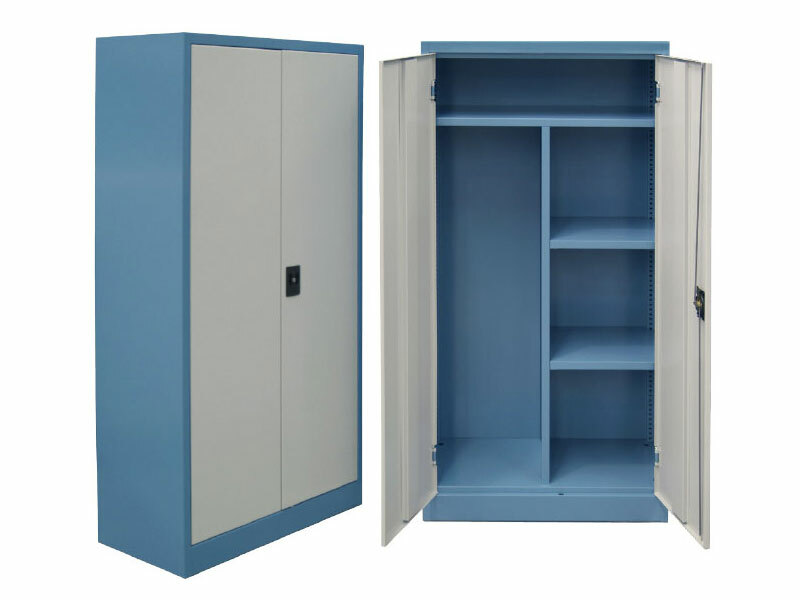 High density storage cupboard are constructed using a 2mm rigid interlocking frame, providing excellent structural stability. Zinc seal body and internals provide extra protection in hardwearing industrial applications. 660H x 1010W, 810H x 1010W, 1185H x 1010W, 1485H x 1010W, 2085H x 1010W.